"Why do I always see the numbers 444 (or 111, 333, etc.) everywhere I go?" is one of the most frequently asked questions that Doreen Virtue receives at her worldwide workshops. 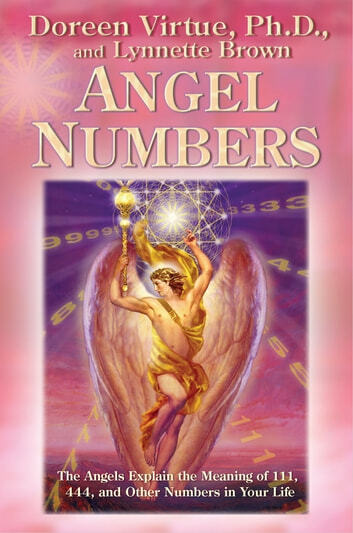 In her best-selling book Healing with the Angels, Doreen included a chapter that briefly explained the meanings behind these number sequences, and many people have commented that they carry the book with them everywhere to help them interpret the numbers they see daily. 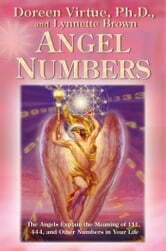 By popular request from Doreen’s audience members, Angel Numbers has been created to serve as a pocket guide containing the angelic meanings of numbers from 0 to 999. Designed to fit into a purse or pocket for easy transport, Angel Numbers provides an interpretation of more complex number sequences than was previously available in Healing with the Angels. This new book focuses on numbers such as 123, 337, 885, and so on. Whether you’re seeing these numbers on license plates, telephone numbers, the clock, or other locations, they’re very real messages from the angels. Angel Numbers will help you instantly understand the meaning of these signs!